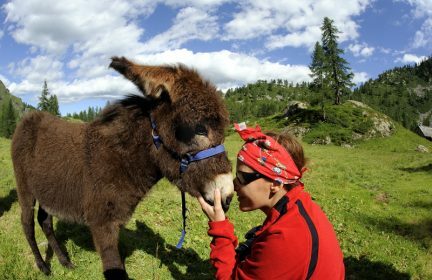 For us, donkeys are a way of life: we passionately believe that walking with them is therapy for the soul. 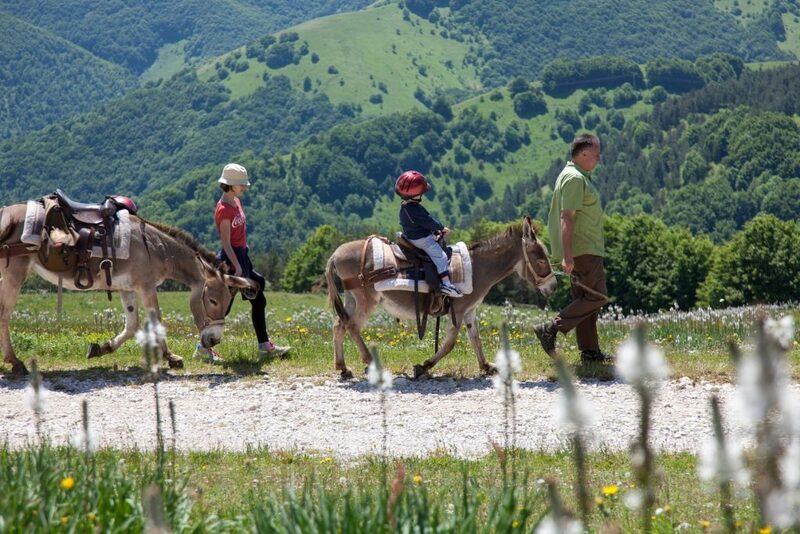 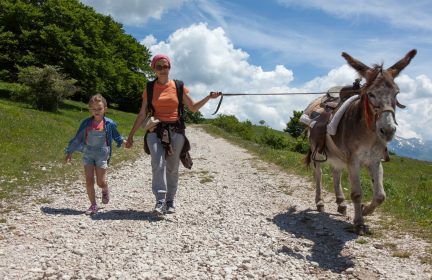 We take pride in providing family holidays with a twist: your donkey travelling companion will become an unforgettable member of the family for the duration of your trip. 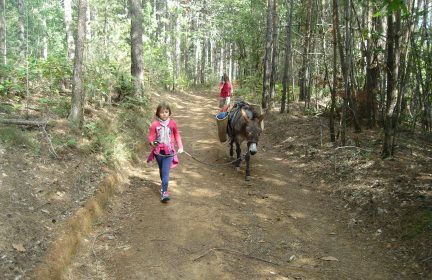 A Happy Donkey Tour will lead you out of hectic everyday life and into a slower, more sedate world where there is time to listen to your own footsteps. 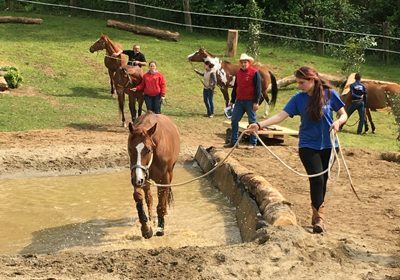 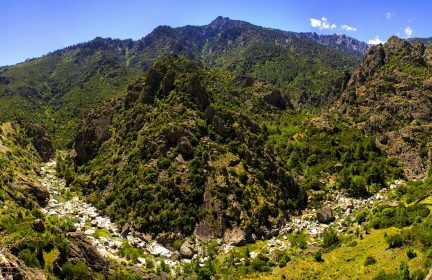 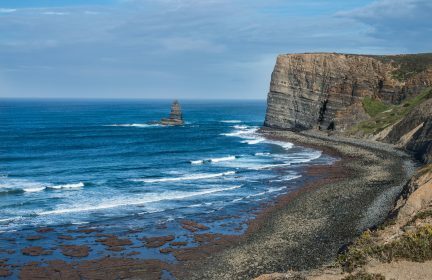 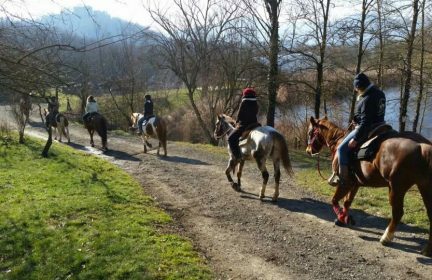 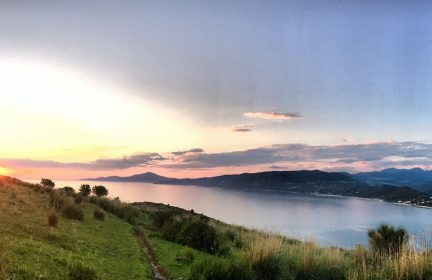 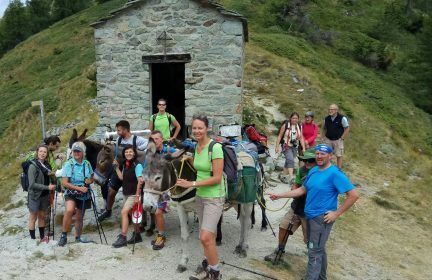 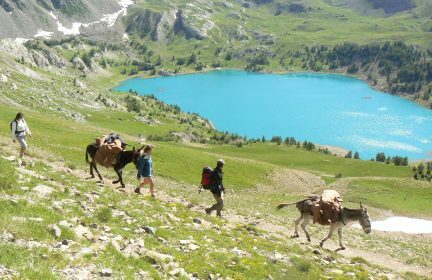 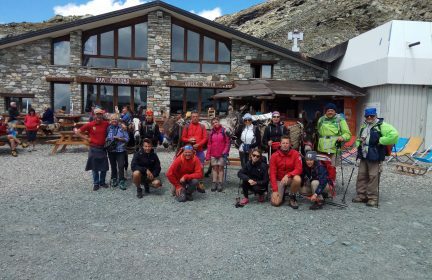 Our treks offer the opportunity to swap the hustle and bustle of the city for the tranquil landscapes of Italy’s mountains and coastlines, experienced at the unhurried pace of your donkey. 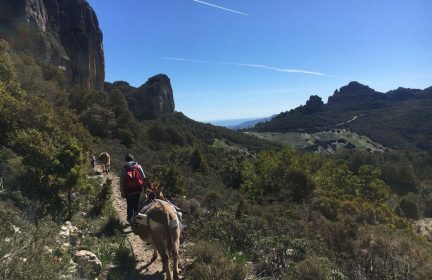 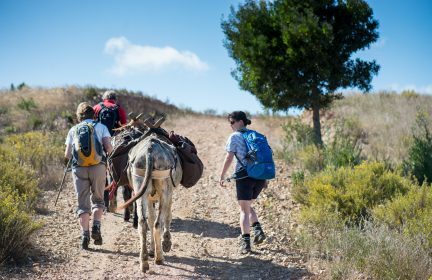 Our ten years of experience leading treks with groups of adults and children has enabled us to craft an experience that will delight a donkey-enthusiast of any age. 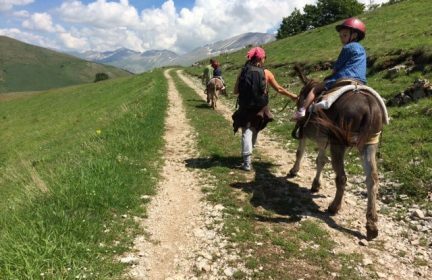 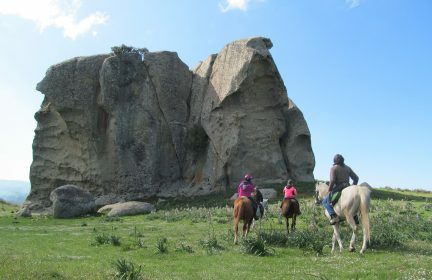 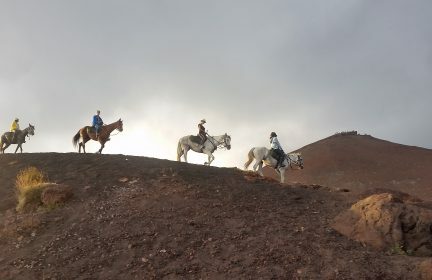 We provide professional guides who will lead you and your donkeys safely through Italy’s breathtaking scenery, giving you a taste of the country’s cuisine and inviting you to explore its hidden locations. 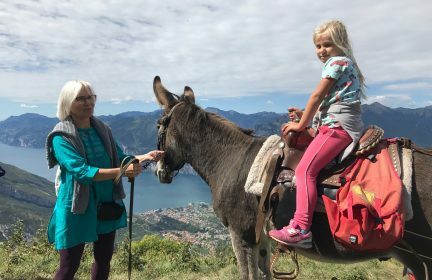 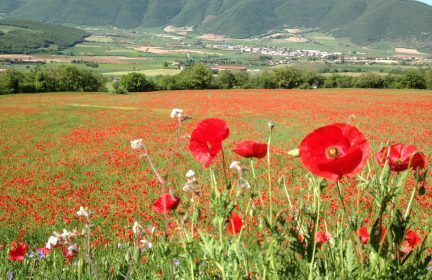 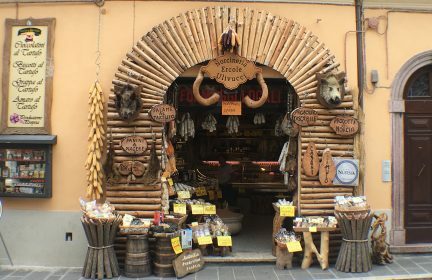 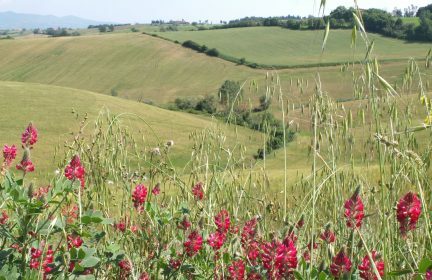 Your family will get the opportunity to roam through the countryside uncovering an authentic Italy, eating homemade food using local produce, including wine, oil, lentils and sheep cheeses. 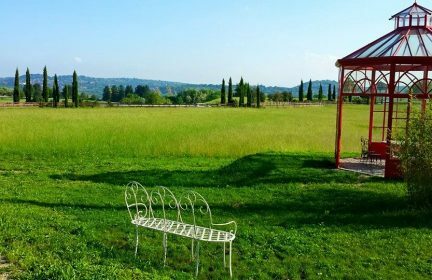 The gentle pace allows guests to interact with the landscape and its attractions in an unhurried manner reminiscent of a simpler time. 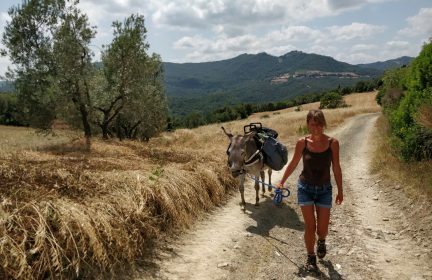 The donkeys are perfectly happy to carry a tired traveller along with all of the gear if unaccustomed feet grow weary of the trek. 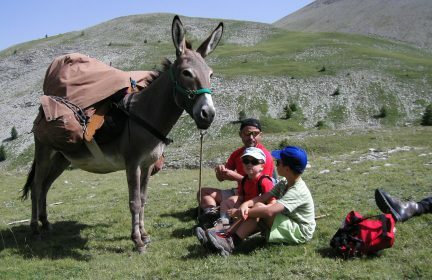 A donkey is not just a form of transport, but a friend. 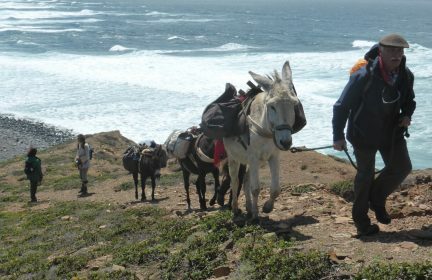 We hope that we can share our passion for these beautiful beasts with you while you experience a holiday like no other with Happy Donkey Tours. 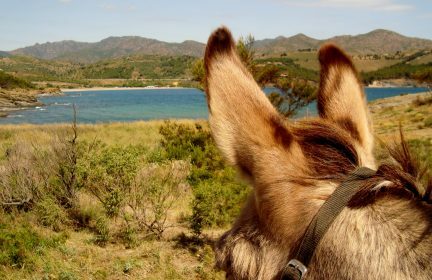 A friendly and reliable donkey is waiting patiently to begin its journey with you.